The Division BMX Stunt Team is formed from an elite group of professional BMX riders who have come together to both promote the sport of BMX riding as well as show the world what life is truly about, riding with friends and channeling energy toward something positive. With over 15 years of BMX performances under their belts, the Division Stunt Team knows how to entertain and keep an audience on the edge of their seats. Witnessing stunt riding on television is one thing, but to have it up close and personal is an experience that will leave spectators in amazement and wanting more. Watch in awe as riders perform tricks at heights reaching over 25 feet above the ground. With high-flying, death-defying entertainment, the Division Stunt Team creates an energetic atmosphere every time they perform. Our professional announcer will leave the crowd in bellyaches with original humor and non-stop antics. The shows generally last between 20-30 minutes, with an autograph session following each performance. The autograph session allows the riders a chance to meet the audience and provide an autographed souvenir to take home in remembrance of the event! Division Stunt Team offers you the flexibility to fit stunt performances to any event. Want a grand-finale type production to captivate a large crowed? We can do that. Looking for a short performance to open for another act? No problem. We are flexible and will be happy to work with you on a performance that is sure to astound! Add a real blast of excitement to any event. Don't miss out on this unique form of entertainment! The performances are precise and timed to perfection. The announcer introduces all the riders, and builds up energy throughout the show. Also, the emcee will stress safety, professionalism, and promote a positive lifestyle. We start with very simple tricks and eventually get complex and always end with a series of backflips. The show comes with a sound track that plays during the entire show. You are guaranteed at least 4 riders and one announcer per show. The Division BMX Stunt Team will provide the music and p.a. for the show. We do need power provided within 100ft of the performance area. 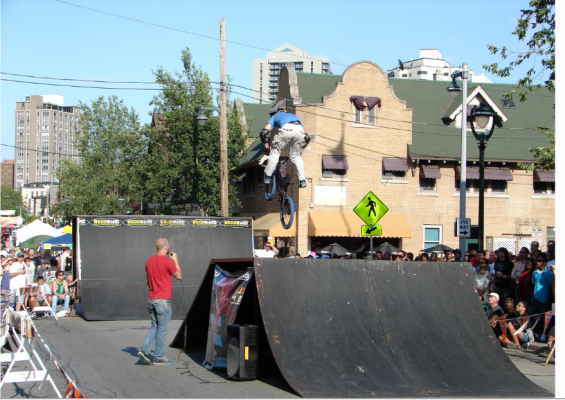 The ramp is a jump box type that measures 6 feet high, 10 feet wide and 30 feet long. It propels the riders up to 25 feet in the air and the landing safely brings them back to the ground. The ramp is on wheels that make it easy to set up and tear down quickly. The space needed for the show is 150 feet long by 20-25 feet wide. That would be enough room for the riders to safely stop and get enough speed for the jump. Also, an appropriate ceiling height is needed. The average rider will soar 25 feet above the ground. Thus, we need a large ceiling to make sure the riders will not hit it. 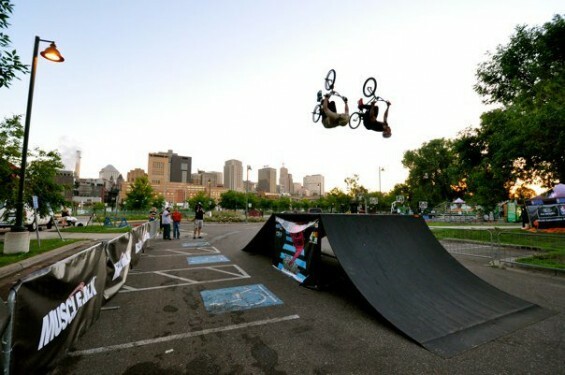 The Division BMX Stunt Team carries full coverage for both rider liability and spectator liability. There is an option for the venue to be written into the insurance but only upon request. A small fee will be charged for the service. The usual charge for one day's worth of shows is negotiable depending on the drive time to the event and if the venue is able to provide hotel accommodations. Discounts are available for multiple days or special circumstances. The fee includes everything from the performance to the box jump set up and tear down. Also included are free posters for the autograph signing as well as t-shirts and other promotion items to be given away during the shows. Hello, we are the Division BMX Stunt Team! Need more info or a free quote? Please contact us for everything you need. Division Stunt Team offers several different show options that can cater specifically to any event. Division Stunt Team can custom build a show to suit any requirement by offering the widest range of demonstrations in the industry! As an independently owned company, we have low overhead and a drive to get people excited about Action Sports through our demonstrations. If you have any questions please don't hesitate to "Contact us." Our shows are different because of quality of talent used. 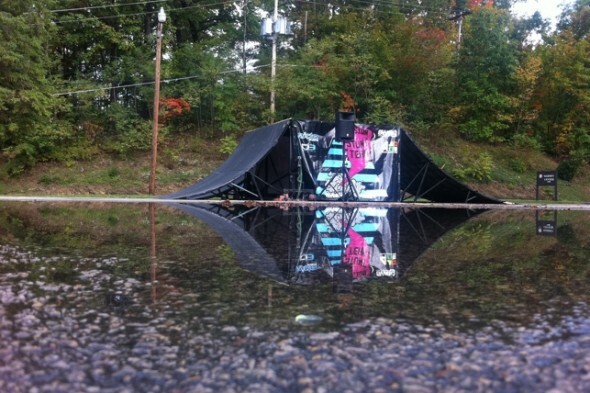 Industry leading announcers, riders, and progressive ramps produce the best entertainment available. The show is great for fairs and festivals, arena, schools, and Concerts. 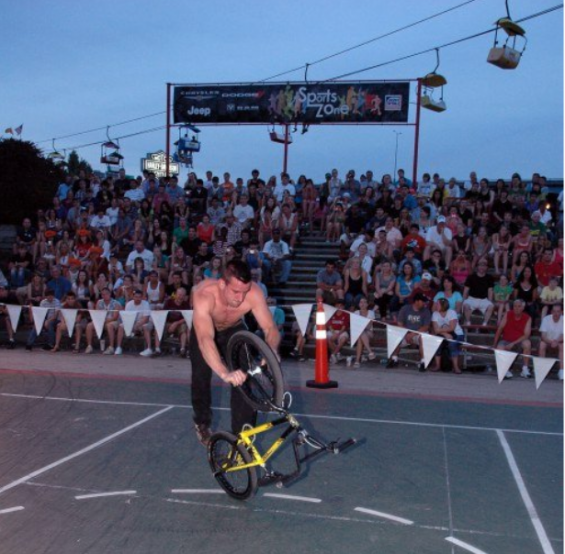 Our show options start with a basic flatland performance by one of Division's world class flatland riders. The bicycle skill that goes into the magic that is flatland is truly only felt when experienced with the naked eye. Watch as masters of the discipline ride their way into the hearts of the audience. Adding a Box Jump performance to any event is the fastest way to produce excitement and memories. The routine starts with the basics and escalates into the wildest stunts in Action Sports. Shows can be arranged to go any amount of time but normally last between 20-30 minutes. Area requirements are 120 ft. in length by 20 ft. in width.The single box jump is the best option for a halftime show. Leave the crowd ready for the second half with a show unlike any other in the halftime industry. Indoor performances for hardwood basketball courts now available. 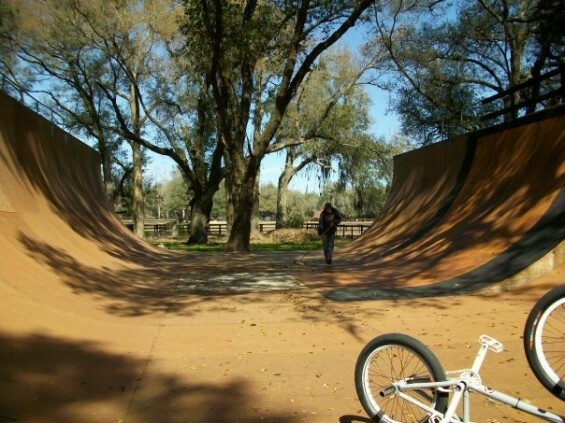 If space is a concern, or you just want a more "alternative" feel, Division offers a quarter pipe that not only shrinks the area needed (80 feet long by 20 feet wide) but gives a much crazier aesthetic component to the show. Our riders are competitive in the Vert class and can blast the Quarter pipe and throw variations beyond comprehension. Ceilings must be 20 feet in order to facilitate this ramp if used indoors. Want to bring a really inspiring show to your event? 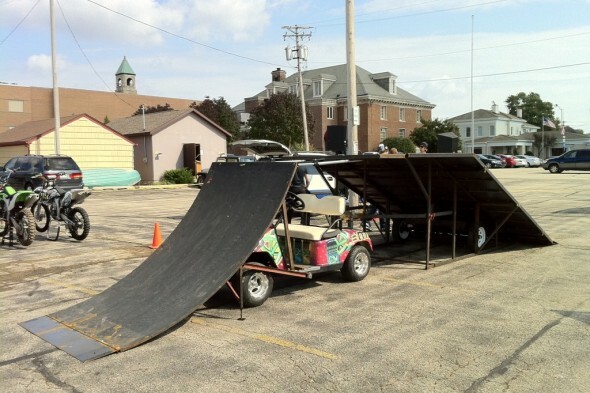 Our most popular show option is our Mobile Skate park! The course is able to fit through a regular sized door or walkway and sets up in about 25 Minutes. It is wood floor friendly and the most progressive set of mobile ramps available. Let's say you need a show with no set up or tear down at all. (The box jump set up time is 2 minutes flat.) We are now booking shows with our innovative golf cart ramp which literally takes 15 seconds to put together once it becomes stationary. Perfect for any football half time shows or race track performances.